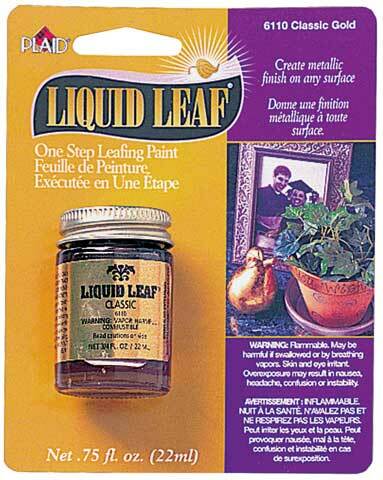 Achieve the look of traditional leafing with this metallic paint. For use on wood, metal, glass, ceramics, paper, plaster or plastic. In .75 oz. bottles.